Cats are selfish creatures, but when they are ready, they’ll come for a long hug to keep you happy and smiling. But sometimes we’re not in the mood for snuggling up or playing with our cats, so what’s the alternative? That alternative is a cactus, but thankfully not a real cactus. 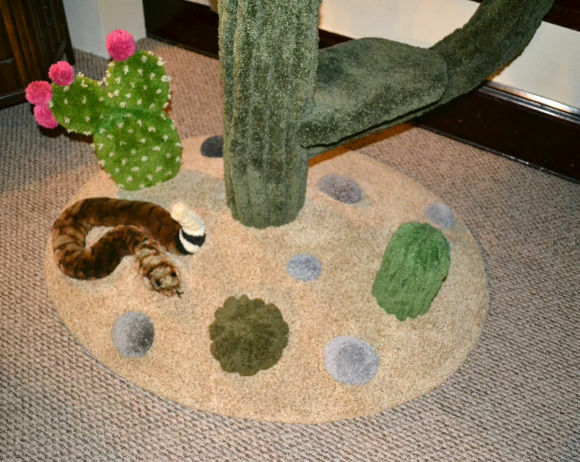 It’s called the Cozy Cactus Cat Tree, and it’s made of the same materials teddy bears are made of. With this tree inside your home, your cats may even prefer it to your lap. No doubt it’s a good looking tree that would do your kitties well, but guess what? It doesn’t come cheap. This thing is currently on sale for $800, and that’s the discounted price. So don’t even think of going Tex-Mex unless you’re friends with your bank manager. 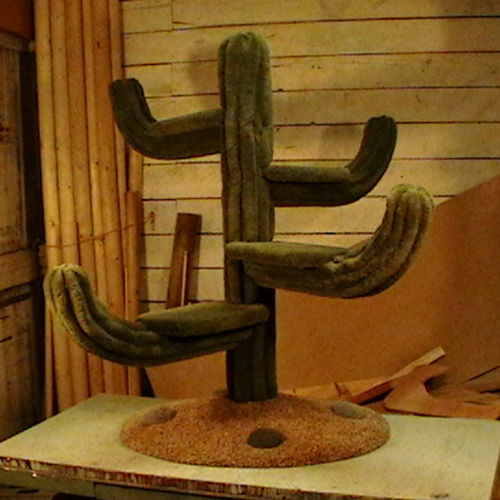 The Cozy Cactus Cat Tree should be able to hold up to five cats at the same time, though since some are territorial, we doubt that many kitties will ever sit on the thing together.